Is the cost of INVISIBLE BRACES Clear Aligners preventing you from getting your teeth straightened? Well, at INVISIBLE BRACES Melbourne and Sydney, we are proud to offer what is possibly the lowest price and cost for orthodontic clear aligner braces from as low as $1650 ! * Terms and Conditions apply. Monthly payment will vary and depend on Total Price ($1650-$4850) and Length of treatment. The Melbourne Service is temporarily PAUSED due to High Demand. Please call to place your name on a Waiting list. We are sorry for the inconvenience. The Invisible Braces system offers amazing benefits that are unmatched by traditional dental braces. It is almost invisible to the naked eye and everyone around you won’t even notice that you are wearing braces! Not only will it help you develop a better set of teeth and a greater smile, it will also help you restore your confidence! Treatment times for Invisible Braces are usually also much quicker than traditional braces, with an average of 9 to 15 months compared to the 35.92 months that it usually takes to complete teeth realignment with metal braces! Plus, the costs of Invisible Braces are now absolutely affordable and the treatment is covered by insurance providers all over Australia. Call us now on 1300 320 881 to book your first consultation appointment for FREE at no cost at our clinics with our lovely caring team. If you would like to read more about invisible braces and the many wonders it can do for you, call us now! Most patients first questions are about the differences between Invisible Braces Clear Aligners compared to conventional braces. Fixed braces use wires and brackets to move your teeth into straighter alignment and are also noticeable. Invisible braces are very difficult to be noticed as per the name itself. Invisible braces are Removable during treatment. You cannot remove fixed braces until treatment is completed. Invisible braces are Removable during treatment. The metal wires and brackets used with fixed braces can cause mouth irritation and Invisible braces treatment doesn't involve metal that can irritate teeth and gums. That allow you to brush and floss normally during your treatment. 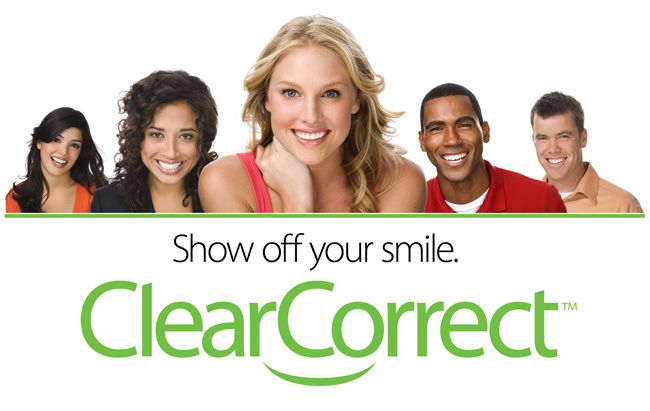 Invisible Braces Clear Aligners also very easy to remove. This will be beneficial in some circumstances, such as when you are going to eat. You can simply put off your Invisible braces when you are eating to avoid staining of your braces. After you have finished eating and cleaning your mouth, you can easily put on your braces again making the overall care much easier than traditional braces. With all those advantages, Invisible braces are suitable for all ages, especially teens who need to get a perfect teeth composition with minimal care and a dentist visit. Invisible braces for adult is also available and great for you who need a better teeth composition in your work and business. The cost of Invisible Braces treatment is something that most people will look out for before proceeding . The costs of treatment is not often more than traditional braces but our service was created with the aim to lower the costs of invisible braces as much as possible and is now among the lowest in the country even when compared to conventional braces. The costs are certainly worth the money in the long run because of the quality of work and the amazing results that you get from this treatment. Plus, you will feel more secure and confident when you are going through treatment because it gives you the flexibility and convenience that tradition braces can’t. In other words, you are getting a bang for the buck when you choose to undergo treatment. We are proud to offer a capped fee which means a maximum price regardless of how complex your case may be. Please refer to our pricing page for more information on our Clear Correct treatment cost and fees. We also offer HICAPS, Private Health Insurance Rebates for some items and flexible payment plans with interest free periods for your convenience. BEWARE OF FLASHY DENTAL CLINICS OFFERING A SMALL DEPOSIT AND INSTALLMENT PAYMENT PLANS ! Most likely, Dental Clinics offering their own Monthly Payment Plans will add a Massive Additional Cost to the to Total Price or Very High Interest Rates. DO YOUR MATHS !!! If you are not good at it , ask a friend who is, to help you. Be aware of clinics and websites with the tendency to underline the need or dental costs benefit to always see a specialist for every single case with phrases such as "compare Apples with Apples" or others with similar strategies. It would usually incur in a higher dental cost and it is obviously NOT ALWAYS necessary. Some of these Websites can sometimes come across as independent blogs or comments but would always link to their own private clinics or business. Registered Australian Dentists are highly trained to perform the great majority of all Dental Treatments including Dental Implants. A lot of general dental practitioners also limit or restrict their practice to only one field like Dental Implants. These dentists will become extremely experienced in their specific field and be capable to offer you also an excellent treatment . These professionals are also well trained to know their limitations and to know when to refer complex or more difficult cases to a Dental Specialist. It is always wise and recommended to see a general practitioner first who would give you options including a visit to a specialist if requested or necessary. Different than most other providers, we do not estimate fees. All prices shown below are for dual-arch treatment. PROPEL VPro5™ is a single device used throughout the course of orthodontic treatment, from start to finish to retention. Requiring only 5 minutes per day of wear, the PROPEL VPro5™ delivers five major clinical benefits, that help give patients the beautiful smile of their dreams. The C-Shaped Vibration Device is an orthodontic accessory intended for use during orthodontic treatment. It is used in conjunction with orthodontic appliances such as braces and clear aligner therapies to help facilitate tooth movement. The C-Shaped Vibration Devices should be used for a total of 5 minutes per day in a single session. Call us Today to find out more about finishing your treatment earlier ! What's the difference between Clear Correct and other aligners? They both are similar treatment methods used to straighten your teeth, but made by different companies. Both use clear aligners to straighten teeth, but Clear Correct tends to be more affordable than other aligners without sacrificing effectiveness. How do I get ClearCorrect? It's simple - just reach out to us to schedule your consultation. We'll perform a thorough orthodontic exam of your mouth, and then we'll determine if ClearCorrect is the best treatment option for you. How often should I wear aligners? Wear aligners as directed by your doctor—usually two to three weeks per step, at least 22 hours per day. Take them out to eat and brush your teeth. What are invisible braces made of and how do they look like? Clear Aligners are made of certain thermoplastic material uniquely developed for the Invisible Braces treatment plan. They look very much similar teeth-whitening trays and are custom-made for you, to move your teeth in the sequence. I am thinking of getting invisible braces. What are the tips to take care of my aligners? - Avoid wearing invisible braces while eating or drinking hot beverages because heat can distort and damage aligners. This also causes sugar and other food particles to stay on your teeth, which contributes to plaque and tooth decay. - Clean the aligner trays regularly and avoid washing it using harsh chemicals. Instead use a cleaning kit or some other types of cleaning solution. - Always store invisible braces in a cool dry and safe place. Also, keep them out of reach of kids and pets. - Don’t chew gums while wearing invisible braces and don’t soak it in mouthwash because this act can tint or stain them. How much does INVISIBLE BRACES COST in Sydney? The cost of the invisible braces varies depending on the complexity of the issue and course of the treatment. Can I make a switch to invisible braces if I am currently wearing braces? Yes, of course! If you are having trouble keeping your teeth clean, want to feel more comfortable and don’t want to let people know that you’re straightening your teeth then Invisible braces could work well for you. But switching to invisible braces can cause added expense to your budget but provides you a great comfort and convenience. Consulting with your orthodontist can help you make the decision that is best for your comfort and health. How long should I wear Invisible braces to set my teeth straight? People have to wear invisible braces for nearly two years or more depending on the complexity of issue. And, it’s recommended to wear 20 to 22 hours every day for a more optimum result. It is also noted that the length of time necessary for a teen patient may vary.